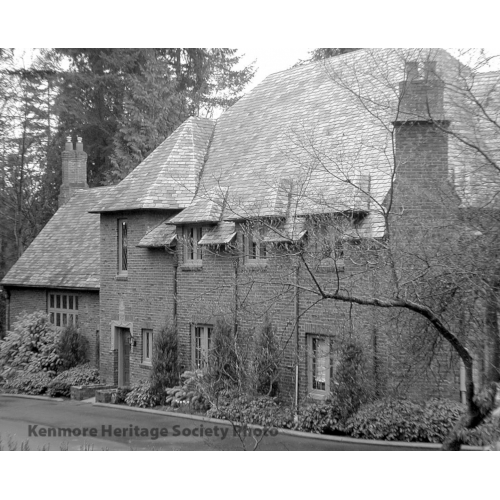 Charles and Elvera Thomsen built this brick Tudor home on NE 170th Street in 1927 while he was still president of Centennial Flouring Mills. The couple willed the house and grounds, called Wildcliffe, to the Cerebral Palsy Association, later the Easter Seal Society, when they died. The estate is a designated Local Landmark.